Beijing, China – June 25th – Baldy Mountain Resort and the Chinese National Sports Administration will be completing a signing ceremony and celebration of an MOU for the Chinese National Apline teams to train at Baldy Mountain Resort, Bc Canada. The ceremony and celebration was held at the Four Seasons Hotel In Beijing on June 25th at 9 am, where Baldy Mountain Ski Resort, located in the Okanagan Vallley, BC, Canada, General Administration of Sports of China, and the China Ski Association participated in the signing and celebration of the Memorandum Of Understanding for the Chinese National Alpine Teams to train at Baldy Mountain Resort in years to come. Chairman of the Board for Baldy Mountain Resort, Victor Tsao, said “We could not be prouder to be strengthening ties with China and driving awareness for the Canadian Ski industry and Canadian tourism in general. This is not only a great move for Baldy Mountain but also for BC, Canda and China in general”. Victor Tsao led a group of investors purchased Baldy Mountain out of reviership in 2016 and have been working hard to drive growth and awareness for the resort as well as bring in strategic initiatives such as this. Baldy Mountain Resort is a much loved ski resort located in the Okanagan, BC, Canda and has historically hosted many races and has an outstanding variety of terrain for beginners to advanvced skiers and boarders. 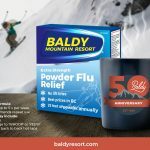 The base level of over one mile above sea level makes it the highest base elevations for a ski resort in Canada, which also means Baldy is able to offer some of the most amazing snow conditions in North America. Victor Tsao said “By hosting the Chinese Ski Team we will be opening the door to some great marketing and relationship potential in China.” China is a growth market for international visitors, especially into western Canada. “We hope that seeing international athletes training on the mountain will also be a great influence on the younger generation skiing here and will lead to some local Olympions in the near future”.